‘Kookaburra sits in the old gum tree . . . ‘ Marion Sinclair. | Sally says . . . eat, sleep, work, read, play, draw, bark . . .
← ‘You can’t reach for anything new with your hands full of yesterday’s stuff.’ Louise Smith. Ahhhh Frankston – memories what memories – lived there during my latter school/uni years – approx. 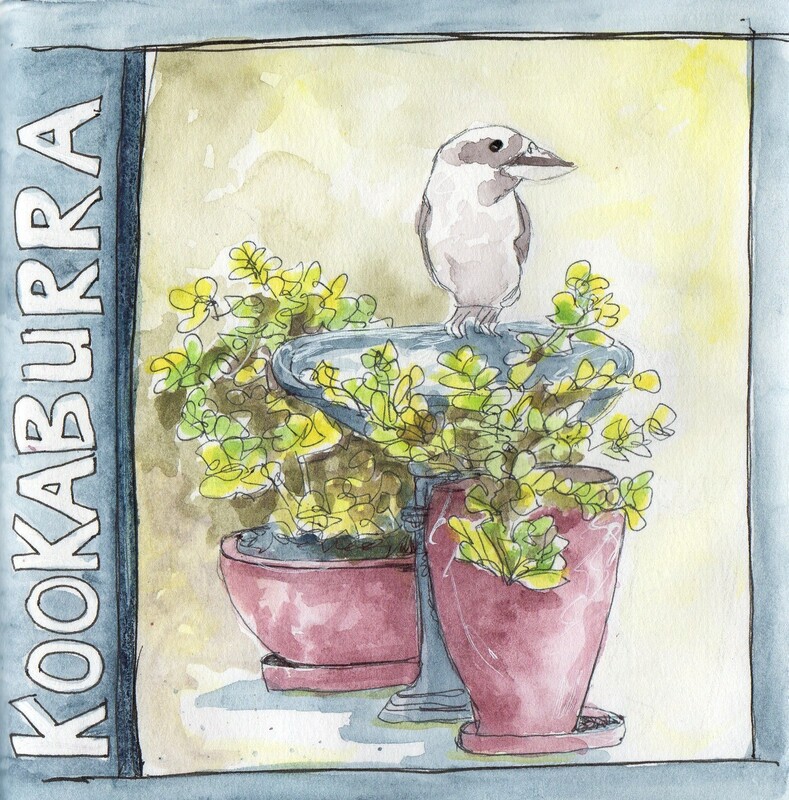 I was so excited when I saw the first few lines of your blog on my email Sal – Ooh Sally has sketched a Kookaburra! Then when I open it up not only do I get the lovely sketch but the words to that gorgeous poem and I (like many others I’m sure) never knew the second two verses, You are a font of knowledge! It was only a very ‘loose’ sketch to be sure. 🙂 And I never knew there were two other verses either!! We live and learn . . .